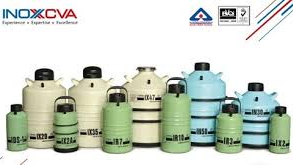 INOX India Private Limited, is an ISO 9001 and OHSAS-18001 Cryogenic Engineering Company focused on Cryogenic insulation technology equipment and systems.The company is the largest manufacturer of Cryogenic liquid storage and transport tanks in India and a reputed supplier to leading international Gas Companies worldwide like Air Liquide, Air Products, Linde, Messer, Taiyo Nippon Sanso , Praxair. Our impressive list of satisfied customers all over the world stands testimony to our quality of products. 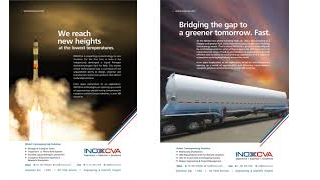 The INOXCVA Nitrogen Pumping Unit is a hydraulic heat recovery Liquid Nitrogen Pump and vaporizer system. Both pump power and vaporizer heat are supplied by the two co-generative diesel power packs which convert the waste engine heat into useful heat for the vaporizer. The liquid is pressurized by a triplex pump before being sent to the vaporizer. At the vaporizer, the high pressure liquid absorbs heat sufficient to raise the temperature to 70degrees Fahrenheit, converting the liquid to a gas state.Thereafter, the nitrogen gas flows out the discharge valve at pressure and flow rate required for the job. 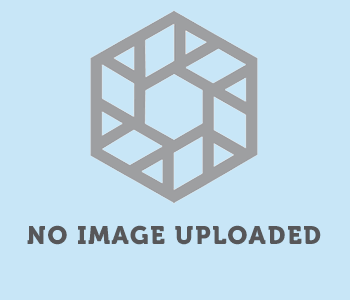 These units are provided with Data Acquisition System. The 270K Body Load model (pictured) is capable of 10,000 psi Max Working Pressure and 270,000 SCFM Max Flow Rate. 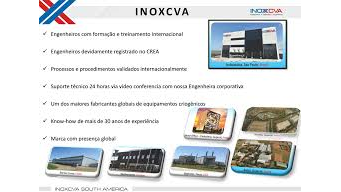 The INOXCVA Nitrogen Pumping Unit is a hydraulic heat recovery Liquid Nitrogen Pump and vaporizer system. Both pump power and vaporizer heat are supplied by the two co-generative diesel power packs which convert the waste engine heat into useful heat for the vaporizer. The liquid is pressurized by a triplex pump before being sent to the vaporizer. At the vaporizer, the high pressure liquid absorbs heat sufficient to raise the temperature to 70degrees Fahrenheit, converting the liquid to a gas state.Thereafter, the nitrogen gas flows out the discharge valve at pressure and flow rate required for the job. These units are provided with Data Acquisition System. 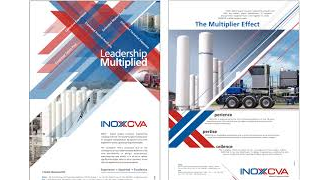 The INOXCVA Double-Fluid Pumps consist of two complete pumping systems. 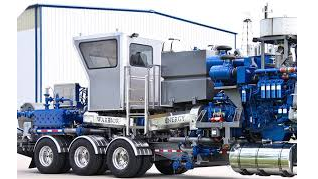 These pumping systems have diesel power packs to provide power through the drive train to the triplex pump. During normal operation, liquid flows from on-site storage tanks through the centrifugal charge pumps on the unit where fluid is boosted to charge the triplex plunger pump. There it is pressurized by the reciprocating pistons and passes through the downstream discharge valve where it flows out. These units are supplied with color coded fluid handling schematic and Data Acquisition System. These are available up to 2100HP with a 29.6 bpm Flow rate at 3,734 psi with a Max Working Pressure of 14,147 psi. 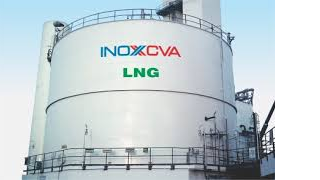 The INOXCVA Double-Fluid Pumps consist of two complete pumping systems. These pumping systems have diesel power packs to provide power through the drive train to the triplex pump. During normal operation, liquid flows from on-site storage tanks through the centrifugal charge pumps on the unit where fluid is boosted to charge the triplex plunger pump. There it is pressurized by the reciprocating pistons and passes through the downstream discharge valve where it flows out. These units are supplied with color coded fluid handling schematic and Data Acquisition System. These units have a diesel power pack to provide power through the drive train to the triplex pump. During normal operation, liquid flows from site storage tanks to the centrifugal charge pumps on the unit where fluid is boosted to charge the triplex plunger pump. It is then pressurized by the reciprocating pistons and passes through the downstream discharge valve and out to the well or manifold. These units are supplies with color coated fluid handling schematics and optional data acquisition systems. Our products are designed & certified to international codes like ASME (U Stamp), PED, TPED, EN13458, EN13530, AD 2000 Merkblatter, AS 1210 and supplied with Independent Inspection Agency certification and relevant Country registration or approvals like European CE, National Board USA, Korean KGSC, Australian Work-safe, Canadian CRN, Algerian DPEM etc. 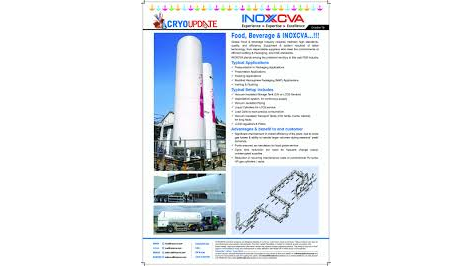 INOX India has comprehensive manufacturing facilities, catering to the customers' diverse cryogenic needs. Its manufacturing plants in Kalol (near Vadodara) and Kandla (near Gandhidham) have some of the best technologies and equipment in India and provide for a very challenging and satisfying work environment. 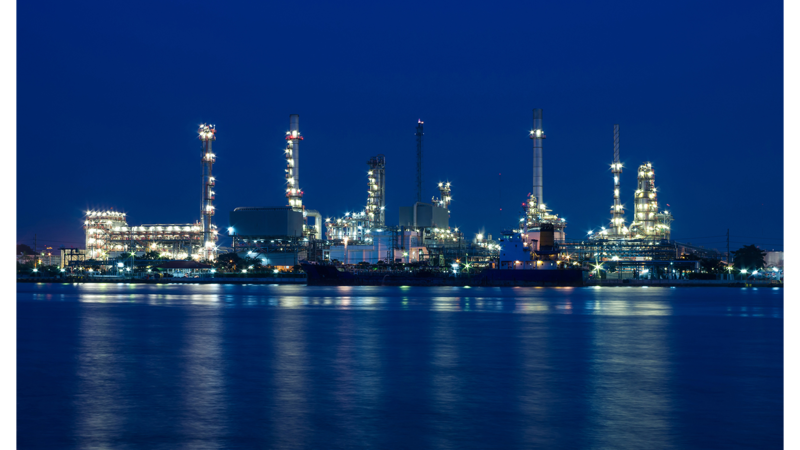 These manufacturing plants keep abreast with the latest technology to meet the growing market expectations. INOX India has a strong Product Development set-up with world class facilities and stringent quality control measures at various stages of production to ensure world class quality. 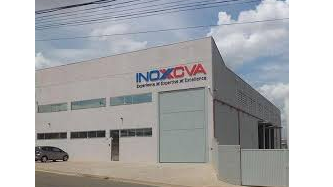 INOX India established this state-of-the-art production facility in 1992 at Kalol, near Vadodara, in Gujarat. This is one of the most integrated manufacturing facilities plant in the Indian Cryogenic Industry. 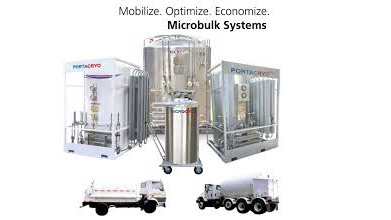 This innovatively laid out plant manufactures a wide range standard and custom designed cryogenic tanks and other products meeting global quality & international testing standards. Spread over 30,000 m2, and 19,000 m2 workshop area, this plant is manned by more than 280 engineers, technicians and support staff. Kalol works is accredited with ASME “U” stamp and has all approvals & certification required for cryogenic product manufacturing. Kalol plant manufactures perlite & super-insulated cryogenic containers & tanks, the latest generation standard customer station tanks, large bulk storage tanks, LN2 Dewars , all types of transport tanks, micro bulk storage units, Vaporisers, pressure regulating & control skids, CO2 based dry cleaning machines, disposable cylinders and customized equipment. Self reliant with ‘dish’ head spinning machine shop provides high quality dished ends for inner & outer vessels. 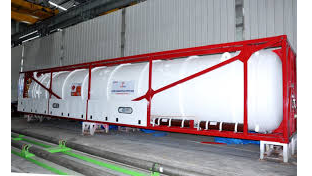 Cryogenic tank repair & rehab facility offers long term support to our valued customers. Operational since 2007 with a strategic advantage of location; near to major sea-ports, INOX India’s new Kandla plant is a major boost to our production capacity, allowing us to enter newer markets. Laid out with an eye for the future, the plant is an imposing addition to the industrial skyline of Kandla. Spread over 39,000 m2 total area, it houses best in class industrial architecture combined with the latest manufacturing technologies that is also ecologically sensitive as reflected in the selection of machinery and processes. This plant is located in a Special Economic Zone (SEZ) at Kutch, Gujarat, and manned by more than 50 engineers and support staff. Kandla work is accredited with ASME “U” stamp and all approvals & certification required for cryogenic product manufacturing. 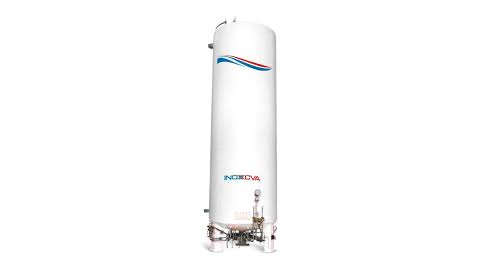 The plant manufactures standard customer station tanks, large bulk storage tanks, flat bottom tanks, water bath Vaporisers, pressure regulating & control skids and specially engineered equipment. As an ISO 9001 company, INOX India follows a methodical approach towards engineering. 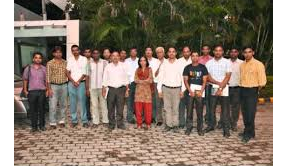 It has amassed vast experience in providing engineering support over a wide range of disciplines. The company extends its engineering expertise to support the development, implementation, and application of our products and technologies. 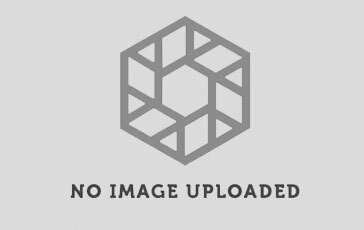 The company also provides design-engineering support to customers to aid in their ability to utilize and implement our products. 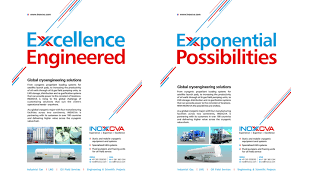 The scope of INOX India’s engineering design support tasks can range from the review of a customer’s designs to the complete design, fabrication, installation, transportation and operation of equipment. In addition to CAD Station, specialized computerized analyses are carried out on different aspects of the design such as Pressure Vessel analysis, thermal analysis, piping design, support analysis etc. Rapidly changing technology and never-ending requirements of clients has propelled us to keep ourselves updated with the latest modifications. To offer world-class technology that is relevant to the customers is the philosophy that drives R&D at INOX India. Over the years, this philosophy has been translated time and again into products that seamlessly integrate international technology with local needs. The success of product development at INOX India stems from a keen sense of anticipation and attentiveness. Innovation is the hallmark of our excellence and which is why, we have recruited a team of R&D personnel who keep themselves abreast of latest technological advancements, that makes our range equipped with long serviceability and optimum performance. Our engineers are constantly innovating to improve product quality and bring out new products to meet customer expectations. Multiple Shop Built Cryogenic Storage Vaporization, Distribution and Automatic Cylinder Filling System. INOXCVA participant, Mr. Chandan Sharma was adjudged “Best Welding Engineer of India” during the Best National Welding Engineer Competition. He received a cash award of Rs. 7,000 and a certificate sponsored by ELCA Laboratories, Maharashtra.